Thank you! Please check your email for your special report. Love it or hate it networking is a must regardless of the type of business you are in. And, whether you realize it or not, you network every day without even thinking about it. Every time you introduce yourself you have the potential to make a contact. Networking events offer an opportunity to introduce yourself and your business to a select, targeted group of people. These people are potential clients, links to job opportunities, or sources of referrals. How you introduce yourself makes an impression on them and determines whether or not they actually remember you. 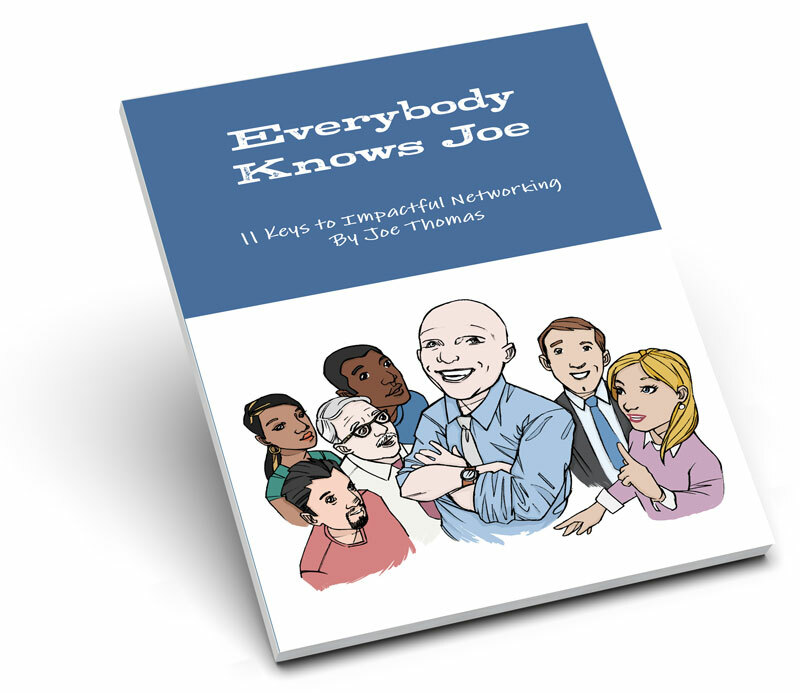 Everybody Knows Joe is intended to help you maximize those contacts and create more meaningful relationships.